As the U.S. electorate goes to the polls, it still seems that the battle between Trump & Clinton is a close-run race for the White House. Latest opinion-polls places Trump on 43.6% of the vote, Clinton slightly ahead at 46.8% per cent, 9.6% per cent abstaining. 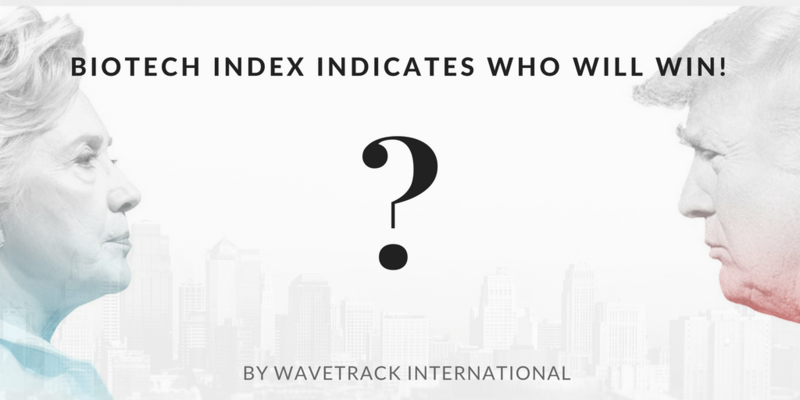 But can the Elliott Wave Principle offer some insights ahead of the result? In last Friday’s report, we had identified a counter-trend rally for most of the major global stock markets about to begin – that was confirmed Monday morning when the FBI announced Clinton’s reprieve. But now that prices have rallied higher, is this just a counter-trend rally and the prelude to a major sell-off ahead of a Trump win? The latest update of the short-term wave development of the Biotechnology index (NBI) says no. Biotechnology Index – 30 mins. During the last month, the Biotechnology index (NBI) has underperformed the market significantly, declining from its late-September high by -18% per cent. But its five wave pattern has been confirmed as ending just a few days ago at 2582.20. A counter-trend upswing has only just begun. R.N. Elliott’s guideline is that a corrective [rally] will return prices to ‘fourth wave preceding degree’, towards 2827.09, in which case, this has more upside potential. The markets binary-think assessment of the election outcome is that a Trump win would send the major market indices down by between 5-10% per cent. Basis this Elliott Wave count, that outcome can be eliminated. It would indicate a Clinton victory. Looking ahead, the upswing is so far, attempting to unfold into a five wave impulse pattern – a fib. 38.2% correction would take the index to an interim target at 2787.00+/-. Extending this by a fib. 61.8% ratio would eventually take the index above resistance at ‘fourth wave preceding degree’, towards the fib. 61.8% retracement area at 2923.00+/-. 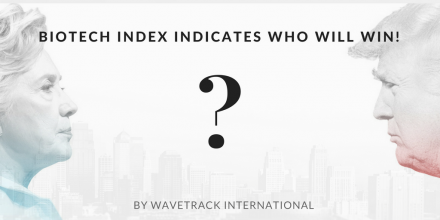 Get access to WaveTrack’s bi-weekly Elliott Wave Compass reportfeaturing many short-term updates of all 4 asset classes!